We launched the 5th issue of MITT magazine a couple weeks ago and to celebrate, we held a MITT Studio Talks at The MITT Mrkt. pop-up over some cocktails and bagels. We talked to the bagel man himself, Dave Young, one half of Smoking Gun Bagels, who are profiled in the issue plus a couple of our writers talked about their amazing pieces. If you haven’t picked up a copy of MITT issue 5, you can order online or find a stockist near you. Hope you enjoy the talk! 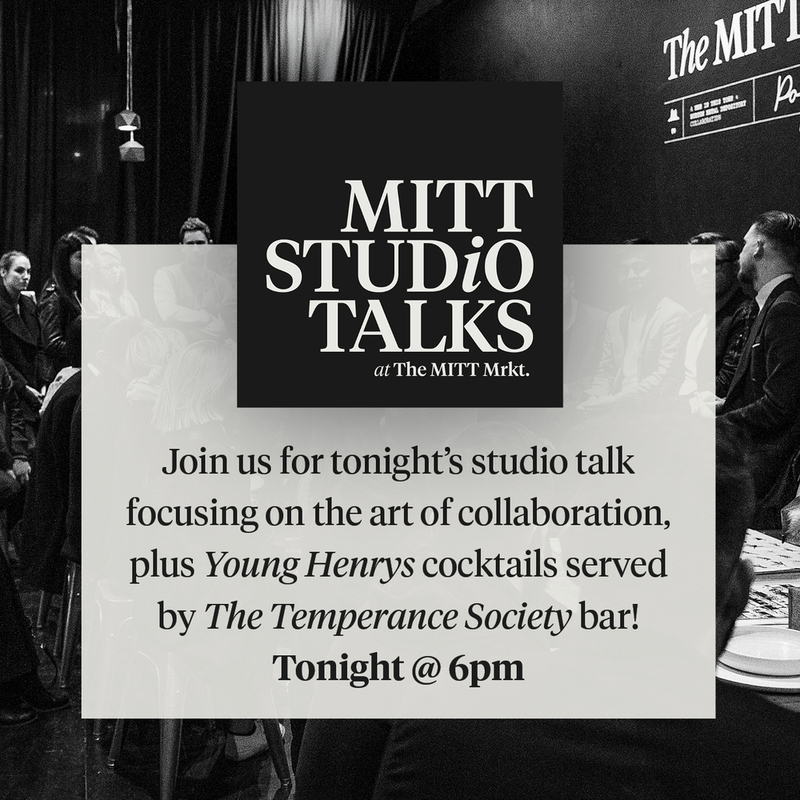 Please join us in celebrating the launch of MITT magazine issue 5 with Smoking Gun Bagels and cocktails served by The Temperance Society bar! We'll be chatting to some of the men featured in the new issue, showcasing our collaboration with Manili candles and announcing plans for the future of The MITT Mrkt. This month’s MITT Studio Talks will be focusing on the art of collaboration. Clara Ho from Burton Metal Depository and I will be sharing our story along with Tom Fereday and Leighton Clarke of Mister Wolf. The Temperance Society will also be serving up Young Henrys cocktails and beer, which you really won’t want to miss. Head over to our Facebook page to RSVP if you’re in Sydney, hope to see you there! We celebrated the opening of The MITT Mrkt. 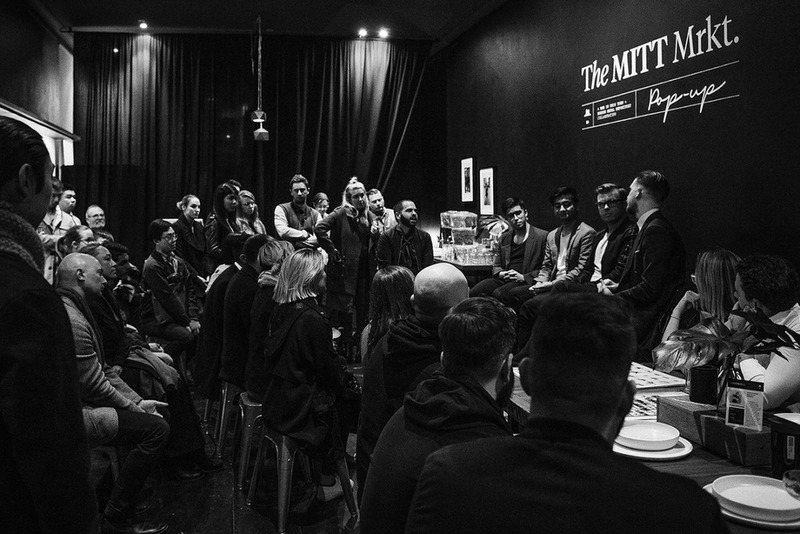 Pop-Up in Sydney last month with our fourth MITT Studio Talks. We asked the guys from Citizen Wolf (custom tees), Luxe Wares (custom wallets) and Oscar Hunt Tailors to join in on the discussion of, you guessed it, custom made goods and what it means in this day and age. Listen to the podcast below on SoundCloud or subscribe on iTunes. We celebrated MITT magazine issue 4 a couple weeks ago with our second MITT Studio Talks over at Kit and Ace in Surry Hills. It was the first time we recorded the session so we thought we would make it available as a little podcast. The plan is to record all future talks, which will run once a month when we move into The MITT Mrkt. on Foley Street in July. So if you’re not Sydney based, don’t fret, you won’t miss out! If you head over to the podcast section, you’ll also find previous Portrait Sessions all grouped together for your convenience. You can also subscribe on SoundCloud or iTunes. Hope you enjoy this one in the meantime! I cannot thank everyone enough for coming out last night to Kit and Ace to help celebrate the fourth issue of MITT magazine with our second MITT Studio Talks. I hope you enjoyed the heartening talk with featured men Leonard Mattis, Pablo Chappelli and Eric Ng and the glorious whisky tasting hosted by Maker’s Mark.